It's launch day for the XOOM, and already the major news outlets have had a chance to spend a few days with the much anticipated device. Not only does the XOOM bring a new standard in high-end to the masses (a la Tegra 2), but it's also the first device to ship with Android 3.0 (Honeycomb) on board. It's also really the second major Android tablet to launch (the Galaxy Tab being the first), and the first to match the 10" form factor of the iPad. But how does it fare? Let's take a look at what our reviewers thought. However, he does note that there are two important caveats. First, there are no apps specifically designed for the tablet. And second, that the iPad 2 is coming, with the unveiling likely to happen in just a few weeks (March 2). In other words, there's not enough app-level support for Android tablets, and the iPad 2 is just around the corner and nobody really knows how much it will raise the bar. Mr. Scoble goes on to note the things he loves that Android just does well; it's interesting to read them, given that they're from an Apple fan's perspective. Despite the drawbacks that we've outlined in this review, there is actually a lot about the Xoom to like. Besides boasting what we consider to be the most complete and clearly functioning version of Android, the hardware which is packed inside Motorola's tablet is really quite good. The tablet is fast and sleek, and while not exactly being really futureproof, the fact that you've got a path to a 4G upgrade is tremendous (and frankly, something no one else in the industry is offering). The problem with the Xoom isn't really about the core of the experience or the core of the hardware -- it's about the details. Too much in both the design (like those wonky buttons) or the software (like the feeling that this is all very much in beta) makes you wonder if this wasn't rushed out to market in order to beat the next wave from Apple. Regardless, there isn't much here for consumers right now. The Android Market is almost devoid of tablet applications, the OS feels buggy and unfinished, and the hardware has pain points that we find troubling. And that's to say nothing of the pricing and carrier commitments being asked of first-time buyers. 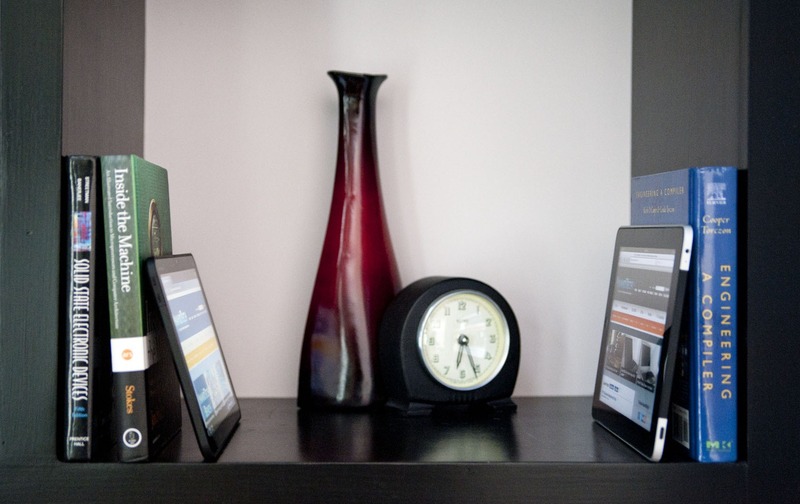 Is the Xoom a real competitor to the iPad? Absolutely. In fact, it outclasses the iPad in many ways. Still, the end user experience isn't nearly where it needs to be, and until Google paints its tablet strategy and software picture more clearly, we'd suggest a wait-and-see approach. 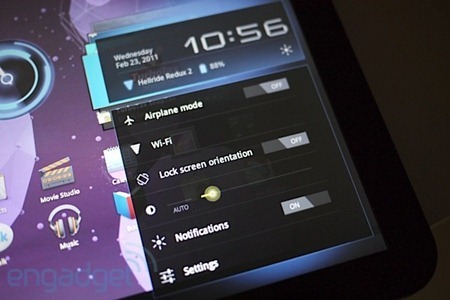 Honeycomb and the Xoom are spectacular -- unfortunately they're a spectacular work in progress. As usual, Josh's review is thorough and very well written - definitely worth a full read. I’m not sure how much better an Android tablet can get right now — and this is the first one we’ve reviewed here at BGR. 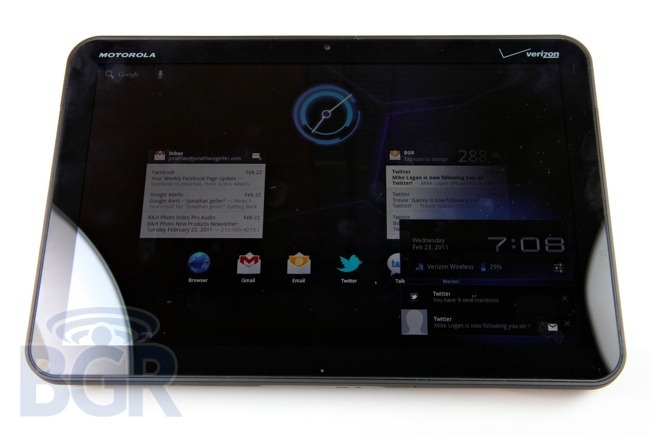 The Motorola XOOM packs a serious punch, and doesn’t have room to store an ice pack. I love that Motorola has been pushing forward with innovate ideas and concepts, most notably with the ATRIX 4G, and the XOOM isn’t an exception. It features great hardware, impressive specifications, and the latest Android OS designed just for tablets. There are many things to rave about with the XOOM, though there were some annoyances and frustrations that stemmed from Google’s OS for the most part and not from Motorola’s hardware. Tablets are the new craze, and while they are selling, I personally still don’t see a huge need to have a tablet. As a toy used to discover new and incredible apps, and to use for 20 or 30 minutes a day to read and catch up on Twitter or do some emailing, sure. But the XOOM definitely can’t replace a laptop. I think that the Motorola XOOM is a great product, I’m just not 100% sold on Honeycomb at this point as an operating system. I don’t believe it’s very innovative, and I don’t find it to be any better than alternatives in terms of ease of use, intuitiveness, or wide availability of apps. Last, but definitely not least, is Anand from AnandTech. As usual for the outlet, the review is an unbelievably thorough monster at 15 pages. Also unsurprising is that Anand exhibits a particular appreciation for the hardware, but notes that there are still a few shortcomings: notably, the price, a middling screen, and (once again) some issues with Honeycomb. 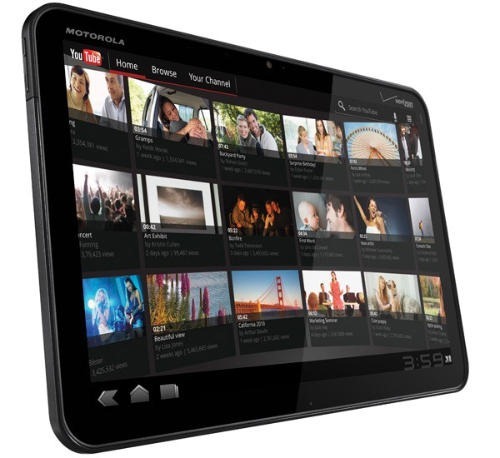 Overall I am very excited to see Honeycomb tablets hit the market. Last year was mostly a waste when it came to non-iPad tablets, but this year looks to be quite the opposite. This conclusion is obviously unfair to Apple given the rumored impending release of the iPad 2, but if I had to buy a tablet today it’d probably be the Xoom. If I wasn’t insane however, I’d wait to see what was being announced on March 2nd first. Ultimately, it looks like the XOOM is a very good tablet, despite a few drawbacks. Perhaps most surprising among them is that Honeycomb still lacks a bit of polish; least surprising is likely the debate of whether or not the price is justified. Perhaps most importantly, the reviewers are all waiting to see what kind of improvements the iPad 2 will bring before making a final call.